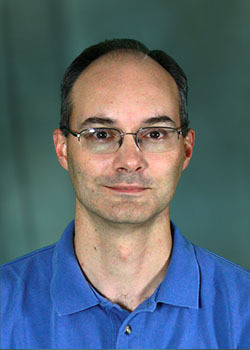 Dr. Mohr joined NICS as an HPC system administrator in Jan 2009. His primary focus is on parallel file system deployment and support (Lustre, GPFS). Additional contributions to the NICS team have included Cray XT5 and XC30 support, SGI UV support, account management system, monitoring infrastructure, and XSEDE data services. Prior to joining NICS, Dr. Mohr worked at the Ohio Supercomputer Center (OSC) for eight years, where he was an administrator for the HPC Linux clusters. Rick wrote software for managing OSC's clusters, deployed much of the monitoring infrastructure, and designed/supported the web infrastructure for portal deployments. J. Kinter and Coauthors, “Revolutionizing Climate Modeling with Project Athena: A Multi-Institutional, International Collaboration”, Bull. Amer. Meteor. Soc., 94 (2013) 231–245. Proceedings of the Extreme Scaling Workshop, 2012. M. Ezell, R. Mohr, J. Wynkoop, and R. Braby; "Lustre at Petascale: Experiences in Troubleshooting and Upgrading,” CUG 2012, Stuttgart, Germany. T. Baer, V. Hazlewood, J. Heo, R. Mohr, and J. Walsh, "Large Lustre File System Experiences at NICS", Presented at Cray Users Group, Atlanta, GA. (May 2009). T. Baer and R. Mohr, "Supercomputing Core Web Services", Presentation to Cyberinfrastructure and Software Development group at OSC (April 2008). R. F. Mohr, R. J. Furnstahl, H.-W. Hammer, R. J. Perry, and K. Wilson, "Precise numerical results for limit cycles in the quantum three-body problem," Annals of Physics, 321 (2006) 225-259. D. Johnson, T. Baer, and R. Mohr, "Linux Cluster Design and Administration", Ohio Supercomputer Center Training Course (Sep 2005). R. Mohr and S. Pinsky, "The Condensate for SU(2) Gauge Theory in 1+1 Dimensions Coupled to Massless Adjoint Fermions," International Journal of Modern Physics A, Vol. 12, No. 6 (1997) 1063-1073.